The seemingly never-ending gun violence has claimed the life of a man who was walking on the dangerous Banak Street, in the city’s Southside. 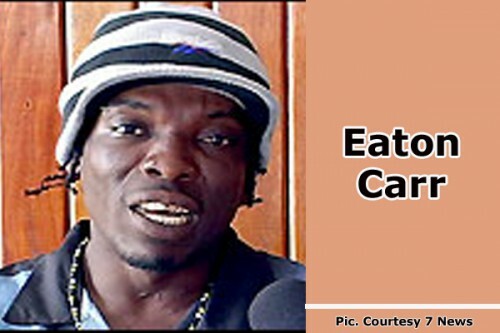 Last night at about 9:50, Eaton Emory Carr, 27, originally of Dangriga but who lived in the Aloe Vera Street area of Belize City, was shot multiple times by unknown gunmen. Police reports are that Carr was walking on Banak Street towards the Central American Boulevard when unknown gunmen fired many shots at him. Neighbors quickly called police, who found Carr lying in a drain by the street side. He had been shot in the neck, the upper chest, the right arm and the upper back. Carr was taken to the Karl Heusner Memorial Hospital and pronounced dead on arrival at about 11:00 p.m.
Police have not yet found the murderer. Carr’s family told Amandala that they were at home last night about 10:00 when police went to their house and asked for Eaton, but did not tell them that he had been killed. They left when they were told that Eaton was not at home. Eaton’s brother said that he was at home in his bed when police went to the house and told him to go with them to identify a body at the morgue. He went with them and identified his brother. He then went and told his family that Eaton was dead, and was at the morgue. Eaton’s relatives, who lived in the same yard with him, said that they were shocked by the sad news. They say that they are devastated by the death. His sisters, who travelled from Placencia, said that they are still in shock. A friend who knew Eaton well said that he was originally from Dangriga, but came to spend time with his brother and family in the city. He had recently been released from jail, and liked to socialize in the Bailar area of Belize City. He believes that Carr may have been killed by so-called friends through the area, whom he may have wronged. Eaton Emory Carr is survived by his mother, 4 brothers and 4 sisters, and also a host of relatives and friends.